I hope all of you love The Beauty Puff's new look as much as I do! There's nothing like a makeover to inspire new ideas. One of the brands I love recently got a makeover too. SimpliMandi, formerly Flutterfly Scrubs, is a chic skincare line made with cruelty-free, vegan, natural and organic ingredients. 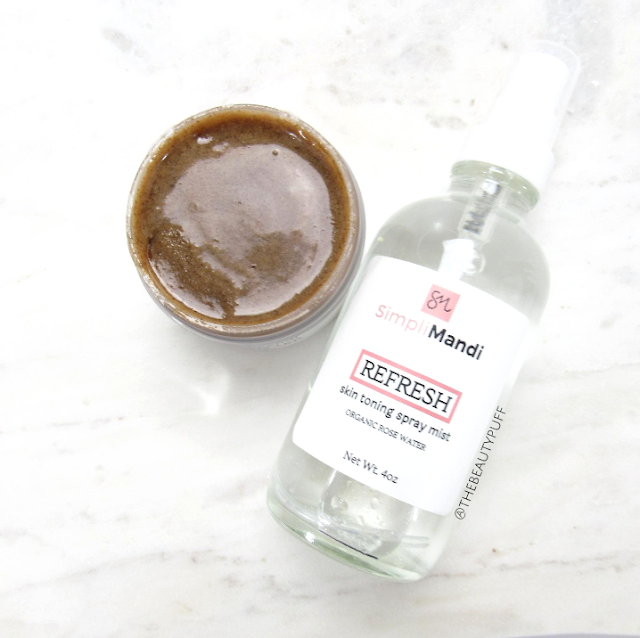 I loved Amanda's body scrubs so I was excited to try some of her face products including a clay mask, toning mist and brightening honey butter mask that is to die for! 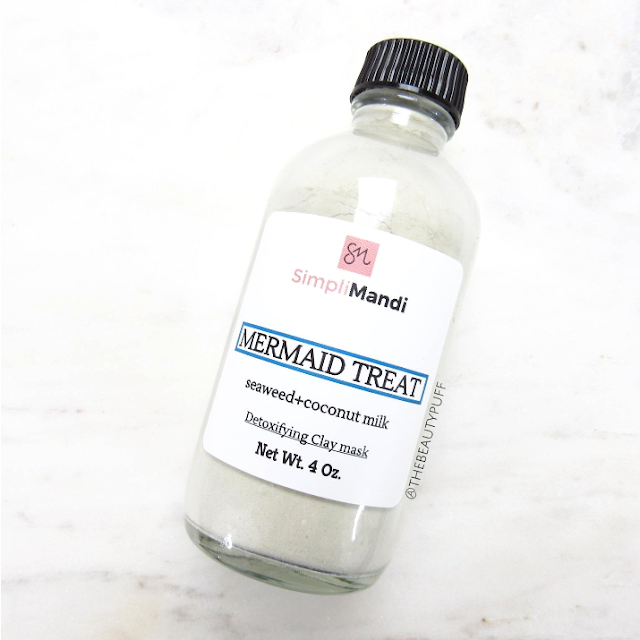 Mermaid Treat | Everyone's skin needs a good detox every once and a while. This clay mask is made with kaolin clay, coconut milk, and rose petal powder among other natural skin-loving ingredients for a thorough, gentle treatment. You can also use this mask as an everyday cleanser. It can be mixed with water or with the Toning Mist. As with any mask, add a small amount of liquid at a time until you reach the desired consistency. I use a small dip bowl and foundation brush to mix and apply my face masks. It makes for an easy, budget-friendly way to have a pamper sesh any day of the week! Refresh | This facial mist contains rose oil, jasmine oil, ylang-ylang oil, geranium rose oil, grapefruit oil and witch hazel. Not only do these natural oils provide a calming aromatic experience, but they work together to help soften, reduce puffiness, tone and freshen skin any time of day. 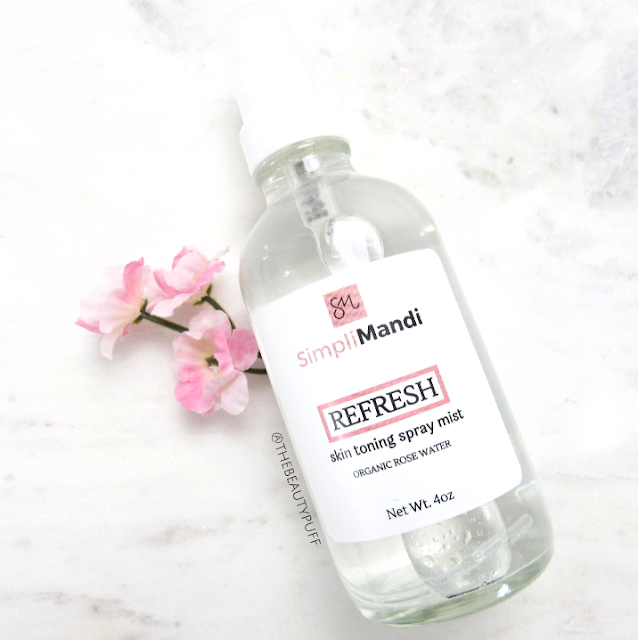 You can use this Toning Mist as the liquid combined with dry masks, an instant boost of hydration during the day, or even as a makeup remover. I've mostly used this mist as a hydrating spray on bare skin to give light hydration throughout the day. The smell is amazing too, I love this one. Honey Butter | If there were two words to describe this mask, it would be pure decadence. You would think, as someone with oily skin, I wouldn't gravitate toward a product like this, but wow it's phenominal. The consistency is thick, silky and applies effortlessly to the skin. It's easy to use just the right amount because it spreads out so evenly. No wasted product, I love that. Upon application this mask feels very warm and comforting. I leave it on for about 15 minutes. When it's time to rinse off, this mask turns into a gentle scrub that exfoliates and leaves skin smooth and polished. That's one of my favorite things about this mask - there's no gooey mess or harsh scrubbing to remove it. It's a treatment and exfoliator all-in-one! Not only that, it heals evens tone, detoxifies, and rejuvenates. This is definitely an all-year must-have! SimpliMandi has an entire line of luxurious products at budget-friendly prices including free shipping! Check out her entire line below and make sure to follow @simpli_mandi on Instagram as well.